You'll like this car if high mileage is a must and regular is your gasoline of choice; its 26/35 city/highway EPA fuel economy numbers trump the Volkswagen Rabbit's, for example. If safety is your issue, the 2010 Hyundai Elantra offers front, side-impact and side-curtain airbags, plus antilock brakes (ABS), as standard equipment. After driving my Hyundai, I do not want to drive any other car. My car does not have many problems. It gets pretty good gas mileage, but it depends on the gas station you go to. The only thing that people may have a problem with is, the accelerator is tough and you have to press hard in order to accelerate unlike other cars. I am used to it though, and actually love that feature now. The seats are very comfortable and there are many different positions the seats can move. I am short so it is helpful to move my seat. What I love about this car is that it has two outlets for car charging and whatnot and it has an AUX cord which is an absolute necessity for me. There are lots of room and plenty of storage spaces in the middle and on the sides including cup holders in the front and back. My satisfaction with my Elantra. The Elantra is a wonderful compact car. My car really have not had any problems since I purchased it. All you really have to do is keep the oil changed and it is quite reliable. The performance is very good and it continues to get high gas mileage even though it is old. I really have not experienced any problem with the car despite it being older. 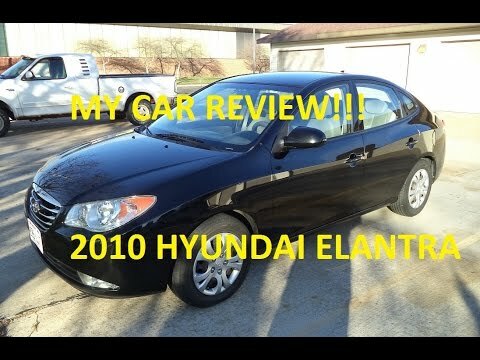 My Elantra has been very reliable since the day I purchased it, no problems that I can think of. The car is very comfortable to drive especially if you are a small person and I am. My car has car bags for both passengers riding in the front of the car, and it has a good stereo system in it, I have not had to update the system. The heat and air conditioner is still working perfectly fine. Hyundai Elantra - a reliable car. No big issues with the car. It is reliable and easy on gas and cheap to maintain. Cost of vehicle and the cost to maintain the vehicle was the main reasons I chose Hyundai. I bought it new and have had it for nine years and I have only had to change the oil, tires, and brakes since I got it. I seem to be Gavin a few more minor problems with the car since it has gone over 100, 000 miles. Customer service with Hyundai is not very good. Difficult to get ahold of and not helpful when you do talk to someone.